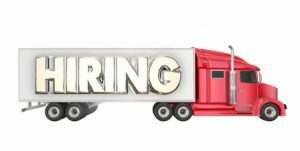 Common Hiring Mistakes Made by Trucking Companies | Platinum Drivers Inc.
What are some hiring mistakes made by trucking companies? First, there’s the old “I’ll hire you because you’re family and/or familiar to me.” Just because someone is family and/or the hiring manager “knows them” doesn’t mean they’ll make a good trucker. Many times these types of hires end up costing companies a lot of time and money because they’re not teachable, or they’re lazy and/or expect to be treated differently than other workers. Hiring managers need to make sure their hires are a truly good fit for their companies– not just convenient warm bodies who fill seats for the sake of filling seats. Next, there’s the whole “online thing.” A couple decades ago, the Internet for the public didn’t exist. Today, however, most people have access to more information and opinions than they could ever want! Therefore, hiring managers should not make the mistake of ignoring their company’s online presence and reputation. Some hiring managers “don’t want to deal with the Internet.” Sorry, but in today’s world, it has to be dealt with… and furthermore, hiring managers need to know specifically what people are posting online about their company. Hiring managers often stick with hiring people that “fit the stereotype for truckers.” Well, that can be a mistake. They need to consider hiring non-traditional candidates for the job, which can include people of color, women and military vets. Diversity in trucking is important. Different types of people bring different perspectives to the job. Finally, hiring managers and trucking companies in general need to be better at promoting their own– truckers who do great work should be celebrated. The general public should be hearing and reading more positive stories of the work truckers do, which will help give the industry a better reputation and, perhaps, aid in recruiting new blood, too. Hiring managers should not make the mistake of ignoring younger generations. People in their teens and twenties are the future of trucking. Reaching out to them through social media, inviting them to open houses, and building relationships with them where they feel valued will help the trucking industry succeed in the years to come. If you’re having trouble finding the right fit for your company, learn how a truck driver placement agency can help your efforts by contacting Platinum Drivers today. ← How Has the Electronic Logging Device Mandate Been Received Thus Far?